In 1856, Freemasonry was introduced to the Philippines when a Spanish naval officer organized a lodge in Cavite under the auspices of the Portuguese Gran Oriente Lusitano. Soon, other Lodges under the jurisdictions of the British, Germans but more particularly under the Grand Orients of Spain gained their footholds thus making the Philippines a melting pot of plural jurisdictions. Masonry therefore has existed in the country for more than 155 years. However, native Filipinos, generally referred to as Indios were not allowed membership in the early decades of Masonry in the country. What may be considered the roots of true Philippine Masonry sprouted in 1889 when Logia Revolución was organized by Filipino nationalist Graciano Lopez-Jaena in Barcelona, Spain under the auspices of the Grande Oriente Español. This was in an era when Filipinos who went to Spain either to escape persecution or as students were advocating social and political reforms for the Philippines. Foremost among this group were Graciano Lopez-Jaena, Jose Rizal, Mariano Ponce, Antonio Luna and Marcelo del Pilar. Lopez-Jaena was the first editor of the fortnightly La Solidaridad, the mouthpiece of the Propaganda Movement. He was initiated in 1882 at Logia Porvenir No. 2, and later served as its Worshipful Master. He became the Master of Logia Revolución, with Mariano Ponce as Secretary. Marcelo del Pilar was also member of this lodge. 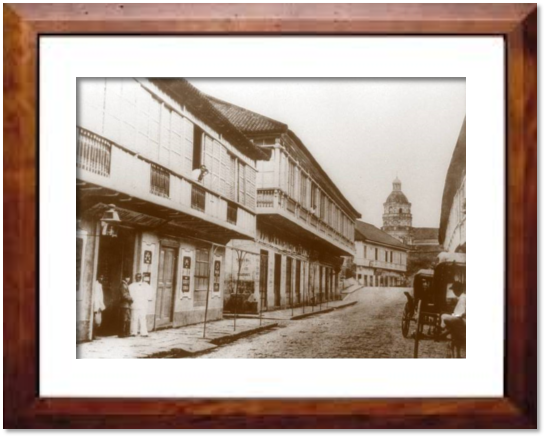 It was here where Ariston Bautista, Galicano Apacible, Jose Alejandrino and many other Filipinos were initiated. The founding by Filipino Masons of Logia Revolución in Spain was the first concrete step towards the formation of true Philippine Masonry. Marcelo H. del Pilar was instrumental in establishing Filipino Masonry in the country and the approval by the Grande Oriente Español of the first national organization of Filipino Masons, the Gran Consejo Regional de Filipinas in 1893. He is considered the Father of True Philippine Masonry.